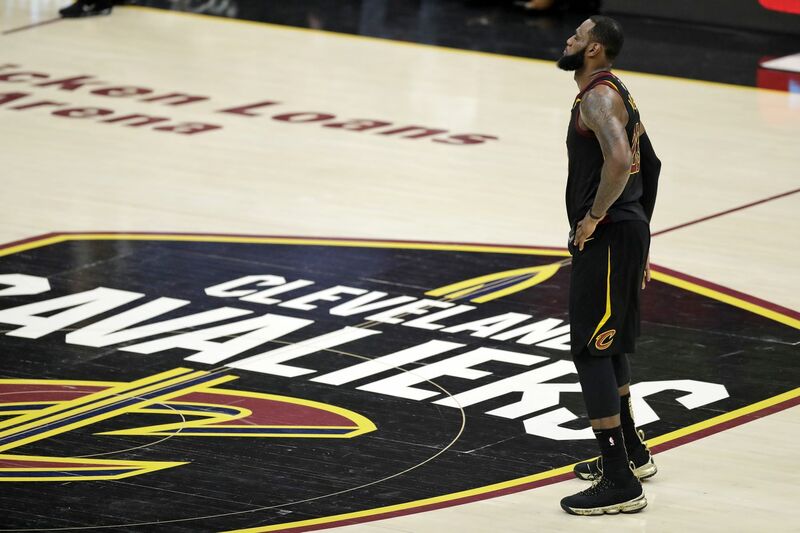 Since his return to the Cleveland Cavaliers, LeBron James – as the de facto head of the franchise – has made clear his preference for being surrounded by teammates who are finished products and/or deferential to him. There was always a reason to be skeptical that LeBron James — who did not exercise his option for the final year of his contract with the Cavaliers — would decide to sign with the 76ers. That reason had nothing to do with James' professional ties and personal relationship with Ben Simmons, the salary-cap space that the Sixers could create to accommodate him, or the curriculum that LeBron James Jr. might have studied at Malvern Prep. It had to do with two factors: age and recent history. That is, the age of the Sixers' two best players, Simmons and Joel Embiid, and the recent history of NBA "super teams" born of stars' choosing to join other stars and shape teams' rosters in the name of chasing championships. Those factors are intertwined, and their scope spans a decade. When James announced in June 2010 that he was leaving Cleveland, joining Dwyane Wade and Chris Bosh, and signing with the Miami Heat, the truth was that the trio had laid the groundwork for "The Decision" two years earlier, when they were teammates at the 2008 Summer Olympics in Beijing. It was then, as their friendships deepened, that they first got the idea of joining forces to become the Blind Faith of the NBA, a supergroup touring the nation and kicking all comers' tails. In retrospect, it's not surprising they did. At the time, James was 26, Bosh was 27, and Wade was 29. Each had spent seven years in the NBA, and they had just one championship among them: Wade's with the Heat in 2006. All of them had been high picks in the 2003 draft. They were peers. After he and the Heat reached four consecutive NBA Finals and won two championships, James re-signed with the Cavaliers in July 2014. The previous month, the Cavs had selected Andrew Wiggins with the first pick in the draft, but come late August, Wiggins was gone, off to the Timberwolves as part of a trade that brought Kevin Love to the Cavs. Wiggins was 19 and entering his rookie season. Love was about to turn 26 and already had established himself as an excellent scorer and rebounder. Since his return to Cleveland, James, as the de facto head of the franchise, has made clear his preference for being surrounded by teammates who are finished products and/or deferential to him. Love, Wade, J.R. Smith, Kyle Korver, Richard Jefferson, Iman Shumpert, Channing Frye, Deron Williams, George Hill, Jae Crowder, Isaiah Thomas, more — all of them have come, and most of them have gone. But they're all of that general mold. Now, consider two other examples/attempts at super-team building. (1) In 2016, after eight seasons with the Oklahoma City Thunder, during which he had won four scoring titles and zero championships, Kevin Durant signed with the Golden State Warriors. He was nearly 28. Stephen Curry was already 28. Klay Thompson was 26. So was Draymond Green. The Warriors have toyed with the rest of the league for two years since. (2) In 2017, with reigning MVP Russell Westbrook already in house, the Thunder signed Carmelo Anthony and traded for Paul George. This plan didn't work. After winning 48 games in 2016-17, the Thunder won 47 in 2017-18 and were one of the NBA's most disappointing teams, and it doesn't seem coincidental that the 34-year-old Anthony and 28-year-old George had trouble meshing with Westbrook, a 29-year-old alpha dog. To put it in starker terms vis-a-vis the Sixers, compare the ages of the six players most relevant to any discussion of how this offseason might affect the franchise's future. Ben Simmons turns 22 in less than three weeks. This is not to suggest that Embiid and Simmons aren't terrific players and won't yet become truly great players. But it is to suggest something else: They are far from finished products, and they are not James' peers. Given James' track record, a veteran superstar's power to dictate terms in the modern NBA, and the rarity with which a relatively young and inexperienced team (regardless of how talented it is) wins a championship, the opportunity to play alongside Simmons and Embiid right now might not be as alluring to James or George or Leonard as one might think. Is any of those three willing to wait for Simmons to prove that he can take, let alone make, a 20-foot jump shot? Or for Embiid to prove that he can play a full season without either suffering a serious injury or tiring out by its end? If James, Leonard, and/or George can start with a cleaner slate, say, in Los Angeles with the Lakers, why would their chances of competing for and winning a championship next season necessarily be any worse than they would with the Sixers?